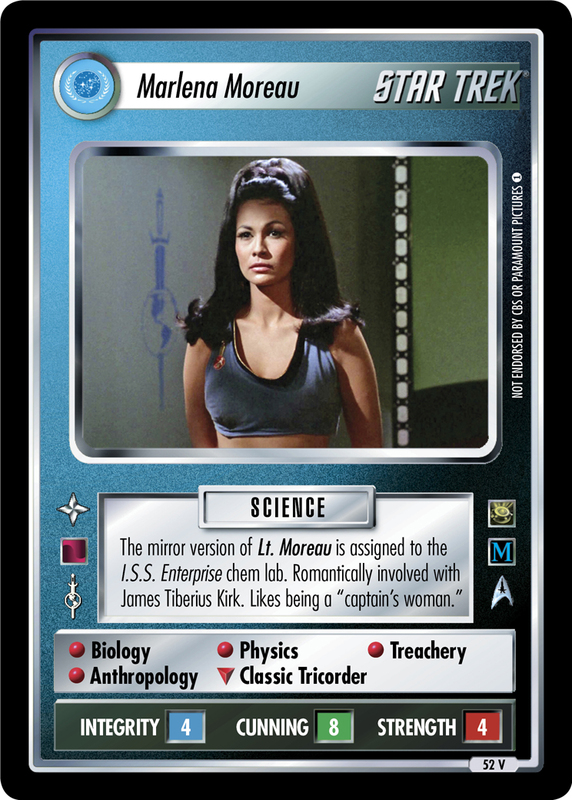 The mirror version of Lt. Moreau is assigned to the I.S.S. Enterprise chem lab. Romantically involved with James Tiberius Kirk. Likes being a "captain's woman."